NOW A HIT NETFLIX SERIES "[A] beautifully crafted thriller that will give you chills." 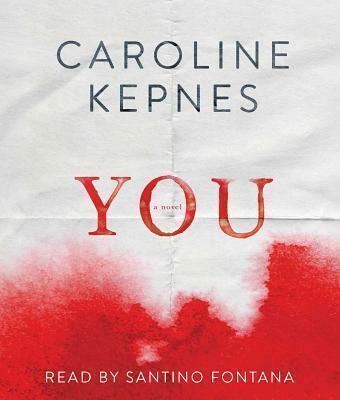 (People magazine) From debut author Caroline Kepnes comes You, one of Suspense Magazine's Best Books of 2014, and a brilliant and terrifying novel for the social media age. When a beautiful, aspiring writer strides into the East Village bookstore where Joe Goldberg works, he does what anyone would do: he Googles the name on her credit card. There is only one Guinevere Beck in New York City. She has a public Facebook account and Tweets incessantly, telling Joe everything he needs to know: she is simply Beck to her friends, she went to Brown University, she lives on Bank Street, and she'll be at a bar in Brooklyn tonight--the perfect place for a "chance" meeting. As Joe invisibly and obsessively takes control of Beck's life, he orchestrates a series of events to ensure Beck finds herself in his waiting arms. Moving from stalker to boyfriend, Joe transforms himself into Beck's perfect man, all while quietly removing the obstacles that stand in their way--even if it means murder. A terrifying exploration of how vulnerable we all are to stalking and manipulation, debut author Caroline Kepnes delivers a razor-sharp novel for our hyper-connected digital age. You is a compulsively readable page-turner that's being compared to Gone Girl, American Psycho, and Stephen King's Misery.